Here we have a Strip case from Dr. B, 4280 grafts to design his new hair line and temples then move back over the frontal 1/3 or so to increase the density within the areas miniaturised and also a smaller coverage over his crown. Great results as usual but his hairline looks a little manufactured / over-demarkated which is unusual for Bisanga. He will need another 3000 at least in the future I think but I am sure there is plenty of room for this. looks great, but isn’t that a lot of grafts for a relatively small area? 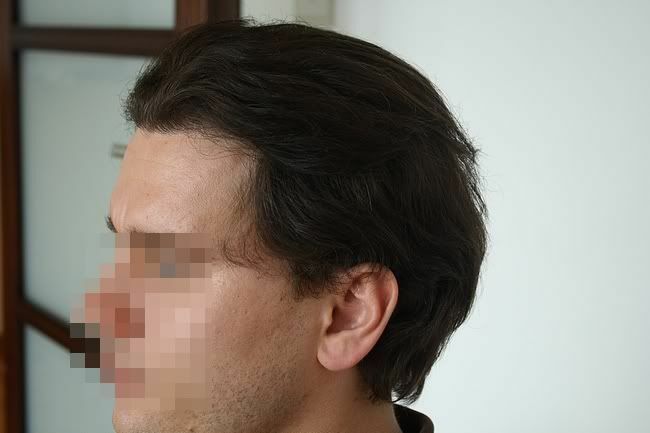 He has the best hair texture I have seen, these are the best for hair transplant IMO. I think I have recognized who you are, we met in person also, right man ?!?! » over-demarkated which is unusual for Bisanga. 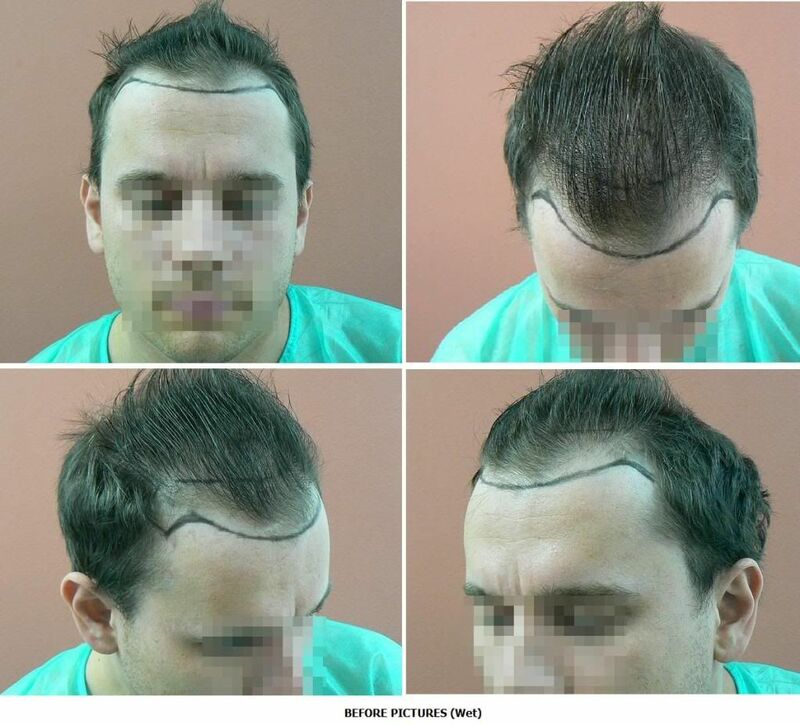 I see what you are saying, the hairline looks a bit straight from the pics, take a look at the video, it doesn’t give you that impression at all. Very different in the video. 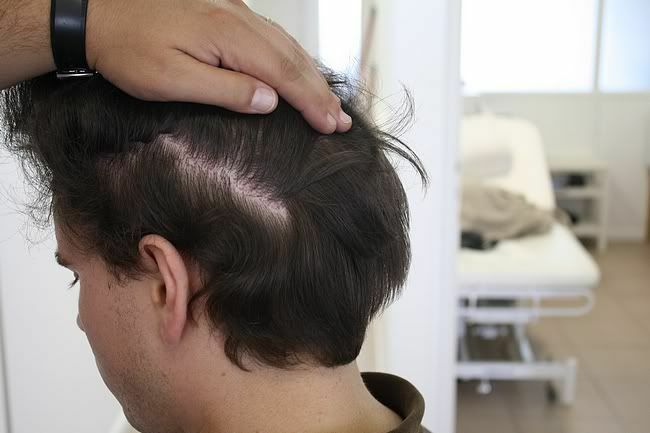 » looks great, but isn’t that a lot of grafts for a relatively small area? 4000 grafts is excessive for such a small area. » » looks great, but isn’t that a lot of grafts for a relatively small area? » 4000 grafts is excessive for such a small area. 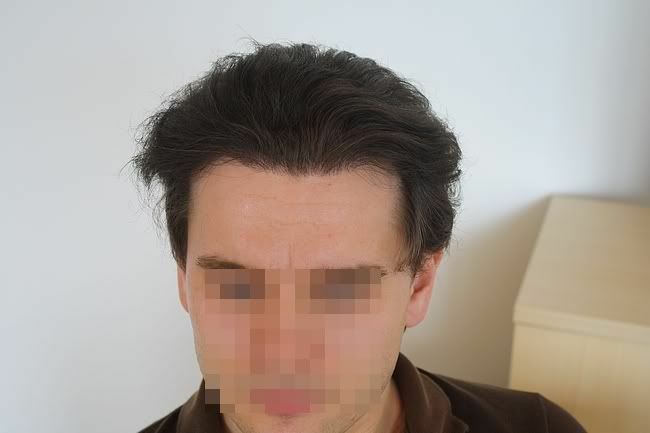 This patient had miniaturised hair throughout the entire frontal 1/3 and a little beyond, his hair line was lowered in to bare skin and redesigned along with the temple angles and grafts were also placed in his crown as per the pictures and video. The split was around 3000 frontal and 1000 crown work. 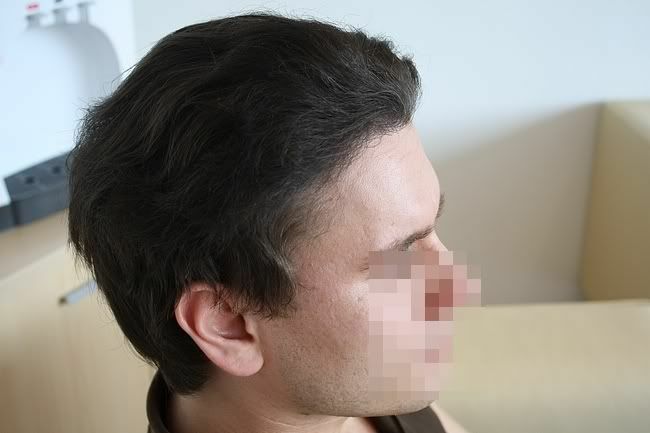 His hair character was very good with good natural groups of multiple hairs per unit allowing for good distribution. His scalp laxity has healed well allowing him to certainly have another 3000 plus from FUT and further with FUE if and when he requires. Planning went into the first procedure to meet the goals of the patient in line with his donor capacity for now and with the future in mind. So, although some may feel the numbers are over the top, just over 3000 in the frontal and around a 1000 in the crown it was not excessive at all in relation to what the patient wanted and was able to obtain without detrimenting future possibilities. Theres more then one person commenting on the amount of grafts, are they not reading the placement? This guy got great results for the dispersement I think. How many grafts do you think it would take for the frontal to crown restoration? Just looked at the video. I agree - the density is phenomenal and this is clearly a well-planned transplant - if he goes to NW6 he only has the top to consider, and he should have enough grafts left to deal with that. I also like the hairline placement (as in it’s not too high, not too low). Looks great now. Will look better when he’s older. 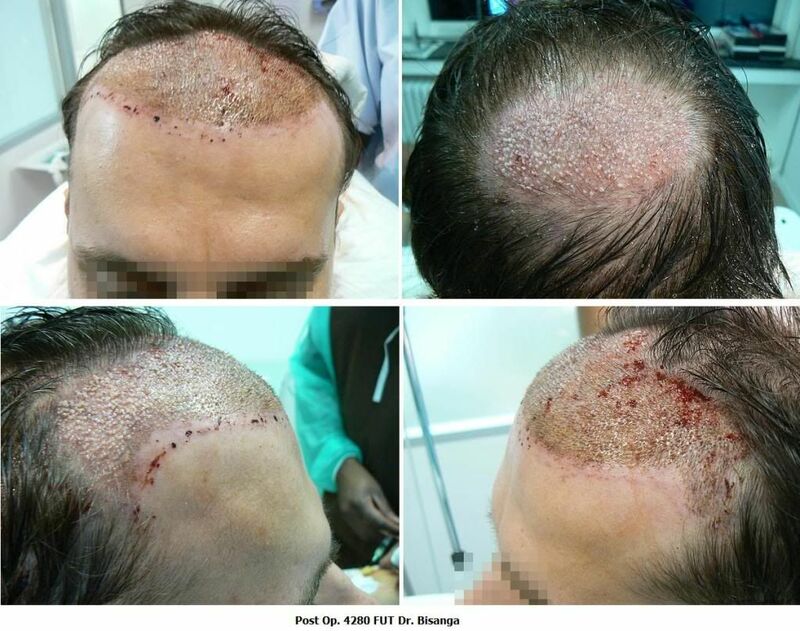 However, as far as the graft placement at the hairline is concerned, I’m not so sure. There’s something about it… I would spot this as a HT if I saw him in person. I don’t know what it is about it - as I say, the actual hairline itself is put in a nice place, and there are plenty of singles in the hairline, but… It just look a bit “off”. He seems to have very thick donor maybe that’s why Bisanga decided he could go a little bit more aggressive on him.